Size: Track is 7.6 inches long! This is a fabulous dinosaur trace fossil. It is a top quality Grallator tenuis track from the Jurassic of Massachusetts. 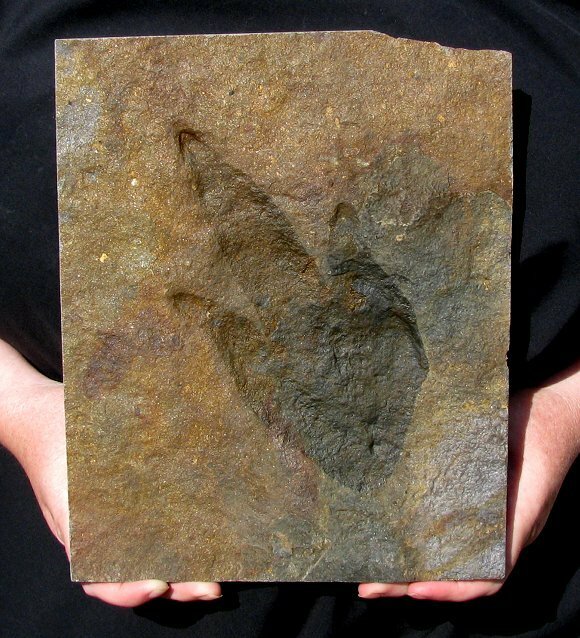 This distinct track wonderfully exhibits the three-toed nature of the dinosaur's foot - the large claw impressions are even preserved and EASILY seen. The track is quite large and is extremely well centered on the large, squared plate of matrix. This is a great example of a collectible Grallator dinosaur track that would display beautifully on a shelf or in a display case.